Buying a rotisserie chicken on Thursday or Friday will help you beat the urge for weekend fast food! When you don't feel like cooking or have no idea what to cook, each of these recipes can be whipped up in minutes! Fresh fast food healthy meals trump fast food restaurants any day of the week. Chicken and Broccoli Salad: Chopped chicken, 12 oz. broccoli slaw, 2 cups chopped apples, 1/2 cup raisins. Top with Balsamic vinaigrette. Chicken Vegetable Salad: Chopped chicken, bag or two of Trader Joe's chopped cabbage, 4 green onions chopped, 2 cups peas. Top with TJ's Sesame Ginger vinaigrette, and a sprinkle of toasted slivered almonds. Chicken Cranberry Salad: Chopped chicken, 12 oz. bag baby spinach, 1/2 cup chopped walnuts, 1/2 cup cranberries. Top with Raspberry vinaigrette. Chicken Orange Salad: Chopped chicken, 12 oz. bag baby spinach, can of mandarin oranges (drained), 1/2 cup sliced almonds, sliced red onions. Top with Raspberry or Balsamic vinaigrette. Chicken Dried Fruit Salad: Chopped chicken, 1 cup chopped dried fruit and nut mix, 1 can mandarin oranges and top with light poppy seed dressing. This salad is so good that I often take it to pot lucks with rave reviews! 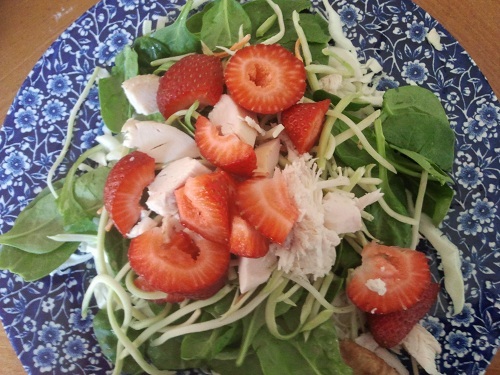 Chicken Strawberry Salad: Chopped chicken, 12 oz bag baby spinach, 1/2 bag broccoli slaw, and 2 cups chopped strawberries. Top with your favorite dressing. Deja-vu! There are many different salad combinations that you can devise. Quick Burritos: Pull the chicken off of the bones. Heat flour tortillas and fill with chicken, cheese, black beans drained, and Pico De Gallo. Taco Salad: Put chopped lettuce on each plate. Top with chicken, black beans, reduced fat cheese and top with a mix of Salsa and Plain Greek Yogurt. Sprinkle light tortilla chips over the top for crunch. Simple Chicken: Cut chicken into pieces, serve with a large green salad with chopped veggies, and your choice of a grain. Try Trader Joe's Harvest Grains Blend. Quick Chicken Soup: Boil half of the chicken in water or chicken broth. Remove the chicken and pull it from the bones and add back to the broth. Many of you do not want to cook on the weekend, but fast food adds to your waistline! These recipes require little time and put a healthy spin on fast food! 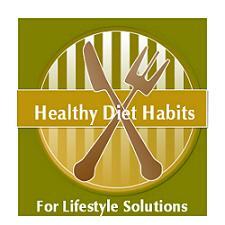 Definitely a lifestyle solution for your fast food problem and a healthier diet habit to add! Let's get creative out there. 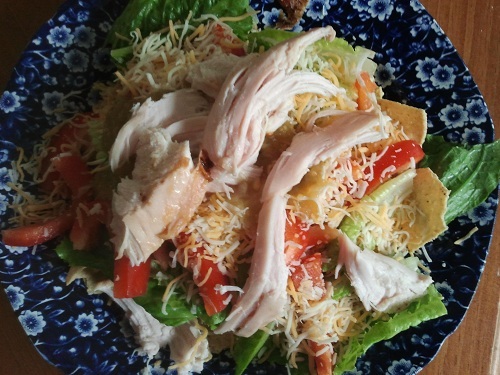 Send me your healthy rotisserie chicken recipes or ideas and I will add them!